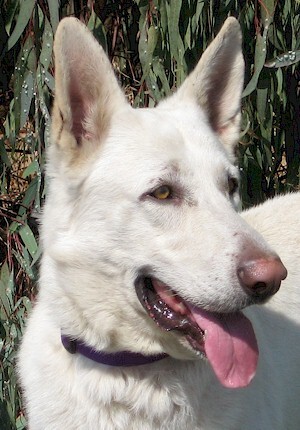 White Comet is a good-looking white male GSD of about 4-5 yrs old. He is a nice-sized boy currently at about 75 pounds on an 85 pound frame. He gets along well with other dogs. He has met a few cats and wants to keep his distance, so he can probably live successfully with them. White Comet has a low-to-moderate energy level. He's housebroken and has good house manners. He rarely jumps up, and knows basic obedience such as Sit and Down, and will Sit and Wait patiently during food preparation. He likes to play fetch, but tennis balls don't last long with him. He does well in a crate and prefers to sleep in it at night. He loves car rides and to go for walks, and he walks well on leash. 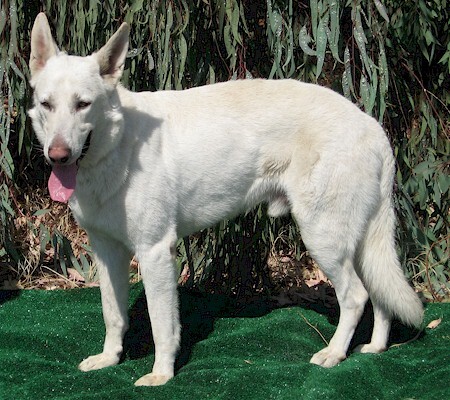 When indoors, he is usually relaxing in his crate or by the sofa waiting for his next walk or belly scratch/brushing session. 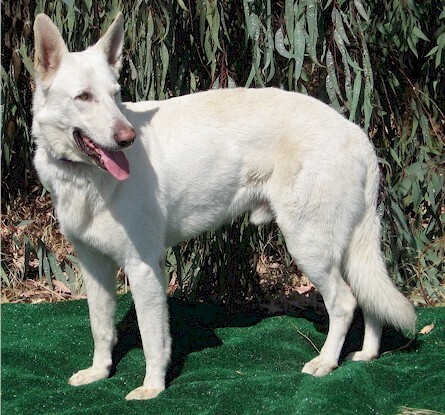 White Comet is a confident male just looking for a little stability in his life, and once he gets it and the daily medical care, he will be an awesome dog in return. 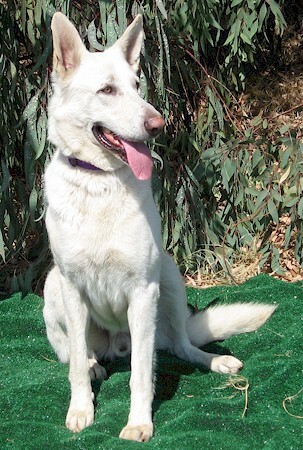 He is located in the Merced area and will attend Modesto Adoption Days.